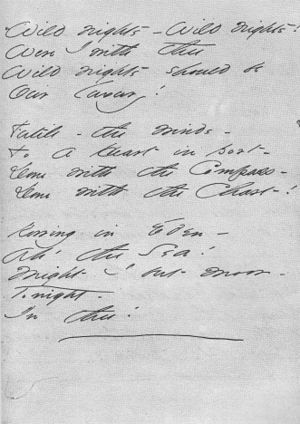 The photograph of Emily Dickinson’s handwritten manuscript displayed in yesterday’s post was illegible, so I offer a transcription. Makes you want to get into a boat and just row away…. Would go beautifully with Rimsky Korsakov. Rimsky Korsakov–interesting. Any particular piece?